Welcome back to the first in our series on Colonizing the Solar System! First up, we take a look at that hot, hellish place located closest to the Sun – the planet Mercury! Well consider Mercury. While most people wouldn’t suspect it, the closest planet to our Sun is actually a potential candidate for settlement. Whereas it experiences extremes in temperature – gravitating between heat that could instantly cook a human being to cold that could flash-freeze flesh in seconds – it actually has potential as a starter colony. The idea of colonizing Mercury been explored by science fiction writers for almost a century. However, it has only been since the the mid-20th century that colonization has been dealt with in a scientific fashion. Some of the earliest known examples of this include the short stories of Leigh Brackett and Isaac Asimov during the 1940s and 50s. In the former’s work, Mercury is a tidally-locked planet (which was what astronomers believed at the time) that has a “Twilight Belt” characterized by extremes in heat, cold, and solar storms. Some of Asimov’s early work included short stories where a similarly tidally-locked Mercury was the setting, or characters came from a colony located on the planet. These included “Runaround” (written in 1942, and later included in I, Robot), which centers on a robot that is specifically designed to cope with the intense radiation of Mercury. In Asimov’s murder-mystery story “The Dying Night” (1956) – in which the three suspects hail from Mercury, the Moon and Ceres – the conditions of each location are key to finding out who the murderer is. In 1946, Ray Bradbury published “Frost and Fire”, a short story that takes place on a planet described as being next to the sun. The conditions on this world allude to Mercury, where the days are extremely hot, the nights extremely cold, and humans live for only eight days. Arthur C. Clarke’s Islands in the Sky (1952) contains a description of a creature that lives on what was believed at the time to Mercury’s permanently dark side and occasionally visits the twilight region. In his later novel, Rendezvous with Rama (1973), Clarke describes a colonized Solar System which includes the Hermians, a toughened branch of humanity that lives on Mercury and thrives off the export of metals and energy. The same setting and planetary identities is used in his 1976 novel Imperial Earth. In Kurt Vonnegut’s novel The Sirens of Titan (1959), a section of the story is set in caves located on the dark side of the planet. Larry Niven’s short story “The Coldest Place” (1964) teases the reader by presenting a world that is said to be the coldest location in the Solar System, only to reveal that it is the dark side of Mercury (and not Pluto, as is generally assumed). Mercury also serves as a location in many of Kim Stanley Robinson’s novels and short stories. These include The Memory of Whiteness (1985), Blue Mars (1996), and 2312 (2012), in which Mercury is the home to a vast city called Terminator. To avoid the harmful radiation and heat, the city rolls around the planet’s equator on tracks, keeping pace with the planet’s rotation so that it stays ahead of the Sun. In 2005, Ben Bova published Mercury (part of his Grand Tour series) that deals with the exploration of Mercury and colonizing it for the sake of harnessing solar energy. Charles Stross’ 2008 novel Saturn’s Children involves a similar concept to Robinson’s 2312, where a city called Terminator traverses the surface on rails, keeping pace with the planet’s rotation. A number of possibilities exist for a colony on Mercury, owing to its the nature of its rotation, orbit, composition and geological history. For example, Mercury’s slow rotational period means that one side of the planet is facing towards the Sun for extended periods of time – reaching temperatures highs of up to 427 °C (800 °F) – while the side facing away experiences extreme cold (-193 °C; -315 °F). In addition, the planet’s rapid orbital period of 88 days, combined with its sidereal rotation period of 58.6 days, means that it takes roughly 176 Earth days for the Sun to return to the same place in the sky (i.e. a solar day). Essentially, this means that a single day on Mercury lasts as long as two of its years. So if a city were placed on the night-side, and had tracks wheels so it could keep moving to stay ahead of the Sun, people could live without fear of burning up. In addition, Mercury’s very low axial tilt (0.034°) means that its polar regions are permanently shaded and cold enough to contain water ice. In the northern region, a number of craters were observed by NASA’s MESSENGER probe in 2012 which confirmed the existence of water ice and organic molecules. Scientists believe that Mercury’s southern pole may also have ice, and claim that an estimated 100 billion to 1 trillion tons of water ice could exist at both poles, which could be up to 20 meters thick in places. In these regions, a colony could be built using a process called “paraterraforming” – a concept invented by British mathematician Richard Taylor in 1992. In a paper titled “Paraterraforming – The Worldhouse Concept”, Taylor described how a pressurized enclosure could be placed over the usable area of a planet to create a self-contained atmosphere. Over time, the ecology inside this dome could be altered to meet human needs. In the case of Mercury, this would include pumping in a breathable atmosphere, and then melting the ice to create water vapor and natural irrigation. Eventually, the region inside the dome would become a livable habitat, complete with its own water cycle and carbon cycle. Alternately, the water could be evaporated, and oxygen gas created by subjecting it to solar radiation (a process known as photolysis). Another possibility would be to build underground. For years, NASA has been toying with the idea of building colonies in stable, underground lava tubes that are known to exist on the Moon. 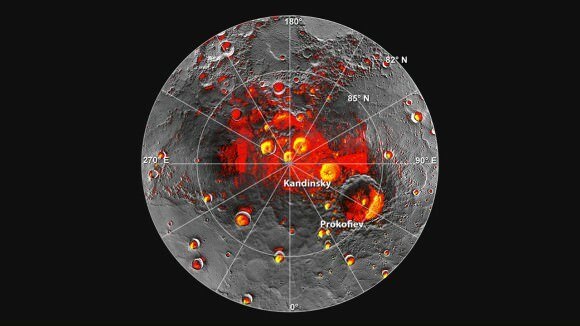 And geological data obtained by the MESSENGER probe during flybys it conducted between 2008 and 2012 led to speculation that stable lava tubes might exist on Mercury as well. This includes information obtained during the probe’s 2009 flyby of Mercury, which revealed that the planet was a lot more geologically active in the past than previously thought. In addition, MESSENGER began spotting strange Swiss cheese-like features on the surface in 2011. These holes, which are known as “hollows”, could be an indication that underground tubes exist on Mercury as well. Colonies built inside stable lava tubes would be naturally shielded to cosmic and solar radiation, extremes in temperature, and could be pressurized to create breathable atmospheres. In addition, at this depth, Mercury experiences far less in the way of temperature variations and would be warm enough to be habitable. At a glance, Mercury looks similar to the Earth’s Moon, so settling it would rely on many of the same strategies for establishing a moon base. It also has abundant minerals to offer, which could help move humanity towards a post-scarcity economy. Like Earth, it is a terrestrial planet, which means it is made up of silicate rocks and metals that are differentiated between a iron core and silicate crust and mantle. However, Mercury is composed of 70% metals whereas’ Earth’s composition is 40% metal. What’s more, Mercury has a particular large core of iron and nickel, and which accounts for 42% of its volume. By comparison, Earth’s core accounts for only 17% of its volume. As a result, if Mercury were to be mined, enough minerals could be produced to last humanity indefinitely. The different colors in this MESSENGER image of Mercury indicate the planet’s chemical, mineralogical, and physical differences. Credit: NASA/Johns Hopkins University Applied Physics Laboratory/Carnegie Institution of Washington. Its proximity to the Sun also means that it could harness a tremendous amount of energy. This could be gathered by orbital solar arrays, which would be able to harness energy constantly and beam it to the surface. This energy could then be beamed to other planets in the Solar System using a series of transfer stations positioned at Lagrange Points. Also, there’s the matter of Mercury’s gravity, which is 38% percent of Earth normal. This is over twice what the Moon experiences, which means colonists would have an easier time adjusting to it. At the same time, it is also low enough to present benefits as far as exporting minerals is concerned, since ships departing from its surface would need less energy to achieve escape velocity. Lastly, there is the distance to Mercury itself. At an average distance of about 93 million km (58 million mi), Mercury ranges between being 77.3 million km (48 million mi) to 222 million km (138 million mi) away from the Earth. This puts it a lot closer than other possible resource-rich areas like the Asteroid Belt (329 – 478 million km distant), Jupiter and its system of moons (628.7 – 928 million km), or Saturn’s (1.2 – 1.67 billion km). Also, Mercury achieves an inferior conjunction – the point where it is at its closest point to Earth – every 116 days, which is significantly shorter than either Venus’ or Mars’. Basically, missions destined for Mercury could launch almost every four months, whereas launch windows to Venus and Mars would have to take place every 1.6 years and 26 months, respectively. In terms of travel time, several missions have been mounted to Mercury that can give us a ballpark estimate of how long it might takes. For instance, the first spacecraft to travel to Mercury, NASA’s Mariner 10 spacecraft (which launched in 1973), took about 147 days to get there. More recently, NASA’s MESSENGER spacecraft launched on August 3th, 2004 to study Mercury in orbit, and made its first flyby on January 14th, 2008. That’s a total of 1,260 days to get from Earth to Mercury. 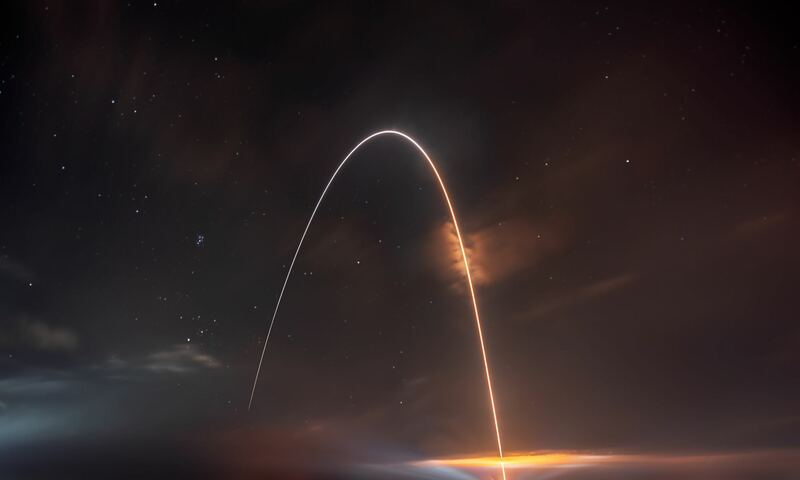 The extended travel time was due to engineers seeking to place the probe in orbit around the planet, so it needed to proceed at a slower velocity. Of course, a colony on Mercury would still be a huge challenge, both economically and technologically. The cost of establishing a colony anywhere on the planet would be tremendous, and would require abundant materials to be shipped from Earth, or mined on site. Either way, such an operation would require a large fleet of spaceships capable of making the journey in a respectable amount of time. Such a fleet does not yet exist, and the cost of developing it (and the associated infrastructure for getting all the necessary resources and supplies to Mercury) would be tremendous. Relying on robots and in-situ resource utilization (ISRU) would certainly cut costs and reduce the amount of materials that would need to be shipped. But these robots and their operations would need to be shielded from radiation and solar flares until they got the job done. Basically, the situation is like trying to establish a shelter in the middle of a thunderstorm. Once it is complete, you can take shelter. But in the meantime, you’re likely to get wet and dirty! And even once the colony was complete, the colonists themselves would have to deal with the ever-present hazards of radiation exposure, decompression, and extremes in heat and cold. Still, once the necessary technology was developed, and we could figure out a cost-effective way to create one or more settlements and ship to Mercury, we could look forward to having a colony that could provide us with limitless energy and minerals. And we would have a group of human neighbors known as Hermians! We have written many interesting articles on colonization here at Universe Today. Here’s Why Colonize the Moon First?, Colonizing Venus with Floating Cities, Will We Ever Colonize Mars?, and The Definitive Guide to Terraforming. What was really meant here? It really is a shame that nearly every one of this guy’s articles — which for the most part ARE informative and interesting — gets waylaid by basic editing failures common to grade school students who write their book reports during home-room, hit spell-check once (maybe), then turn them in and are then satisfied with the resulting C-. It was fixed in the text. Just point out the error, be helpful and courteous. As I wrote it in my comment, it was correct. As the author (re-)wrote it in the article, it is (& continues to be) wrong. Had no one expressed any confusion (as bazbsg did) I’d have said nothing at all, because when one points out an error (or twenty) politely the first time (or several) over the course of (many) months, and the committer of error(s) decides that it isn’t worth his time & effort to prevent such errors in the future… well, even the attempt at correction (let alone politeness) seems a wasted effort at that point. But I also must respectfully disagree with you that it is somehow “impolite” to express one’s specific, honest criticism, and dissatisfaction with repeated mediocrity. I meant what I said: his articles ARE often interesting & informative; they ALSO often contain bad data that he didn’t take the time to make sure was correct before publishing. To say so is not being “rude,” it’s being “accurate,” and on top of that is an entirely reasonable criticism when applied to a journalist supposedly reporting on scientific news, facts & events. If it bothers him, then he should address the issue; if it doesn’t, then you have nothing to be concerned about on his behalf. And if my grandmother had wheels she’d be a wagon. I want to add that Mercury is significantly smaller diameter than Mars, but is much higher density so actually has the same gravity as Mars. Also, the Frost and Fire reference: that story really struck me when I read it as a kid, and has stuck since.